U.S. Attorney General Jeff Sessions announced Friday night that he was firing former FBI Deputy Director Andrew McCabe, a longtime and frequent target of President Donald Trump’s anger, just two days before his scheduled retirement date. Officials at the FBI’s Office of Professional Responsibility had recommended the firing, leaving Justice Department leaders in a difficult situation. Sessions, whose job status has for months appeared shaky under blistering criticism from Trump, risked inflaming the White House if McCabe were to not be fired. 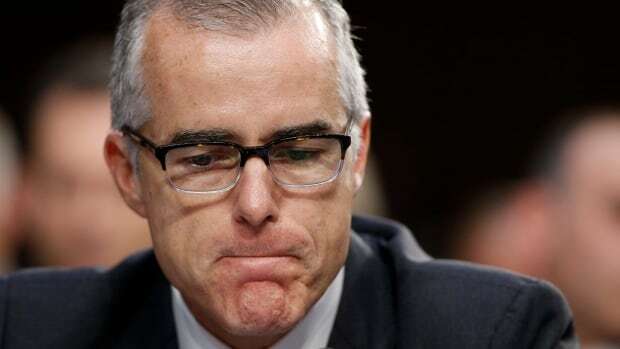 But a decision to dismiss McCabe two days before his firing carried the risk of angering his rank-and-file supporters at the FBI. How can FBI Deputy Director Andrew McCabe, the man in charge, along with leakin’ James Comey, of the Phony Hillary Clinton investigation (including her 33,000 illegally deleted emails) be given $ 700,000 for wife’s campaign by Clinton Puppets during investigation? He became acting director following the firing last May of Comey, and immediately assumed direct oversight of the FBI’s investigation into possible co-ordination between Russia and the Trump campaign. As a congressional hearing two days after Comey’s dismissal, McCabe contradicted White House assertions that the Trump campaign investigation was one of the “smallest things” on the FBI’s plate and also strongly disputed the administration’s suggestion that Comey had lost the respect of the bureau’s workforce.